I’ve lost count of the number of times I’ve visited The Gambia and there’s plenty to do there so I never get bored. In fact, this wonderful, West African country has so much more to offer than just sunshine, lovely beaches and wonderful food, that it would be a crime if you didn’t get out and about to explore. Although there is no big game there are many wonderful animals to see and to capture on camera. I’d like to share with you some of my wildlife shots and make a few suggestions of where you can spot some exotic wildlife. 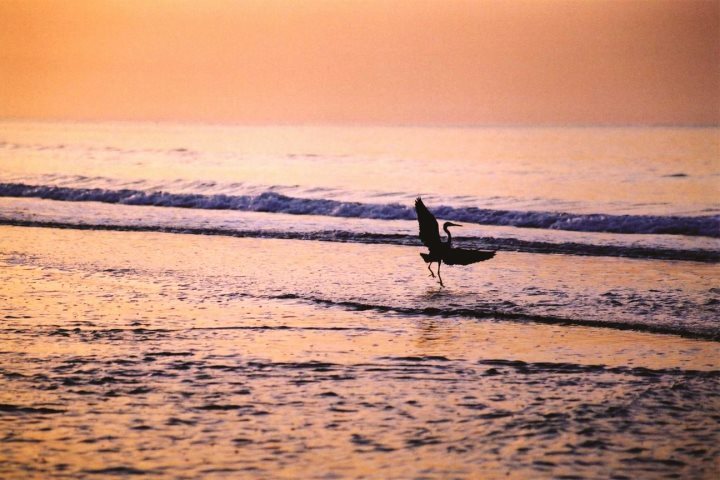 The Gambia is most well-known for its amazing bird life and with over 560 species of birds found in a variety of habitats including mangrove swamps, open grasslands and forests, it’s no wonder that BBC’s Springwatch presenter Chris Packham quotes The Gambia as one of the best birding destinations in the world. This February he will be once again leading a bird-watching tour with us. Plus there are tours available with Chris’ favourite local guide Malik Suso. With over 20 years experience he can lead you to the rarest and most beautiful species. There are also a number f other regular excursions that The Gambia Experience offer. 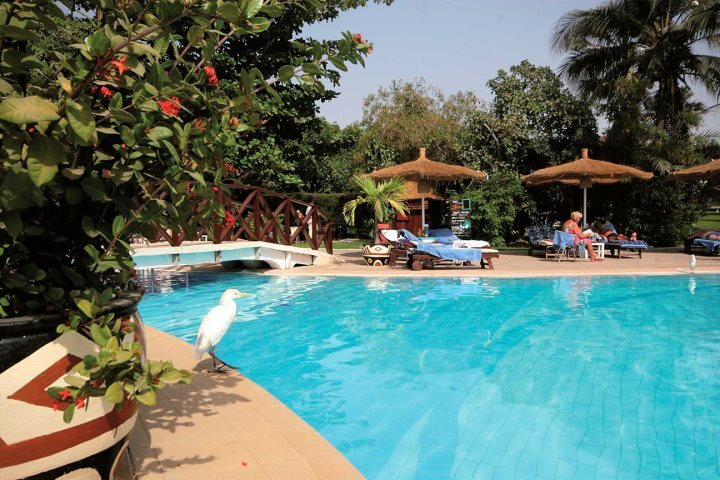 If you don’t want to go on an organised tour many of the hotels in the tourist area of The Gambia have extensive grounds where numerous species can be spotted. At the luxurious Kairaba hotel there are daily feedings of hooded vultures. Peacocks, cattle egrets and vervet monkeys are also regular visitors to the hotel gardens. However, one of the best hotels from where to bird-watch is the more modest hotel, Bakotu with its tropical garden and nature walk beside the Kotu stream. Alternatively, hire your own guide and visit one of the many places within easy reach of the tourist area that are perfect for bird-watching. 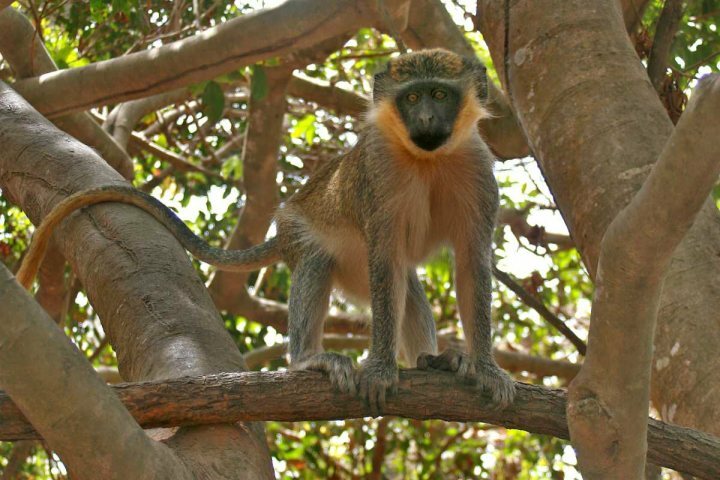 There are six primate species found in The Gambia – the vervet monkeys, red colobus monkeys, red patas, bush babies, baboons and chimpanzees. Bijilo Monkey Park is a good place to start to look for these, especially if you are staying in the Kololi area, but to do some more serious wildlife spotting spend sometime at Abuko Nature Reserve. Other animals you can find here include antelopes, monitor lizards, 3 types of crocodiles, cobras, pythons and, if you are lucky, the green mamba! One word of caution though, please do not feed the monkeys. 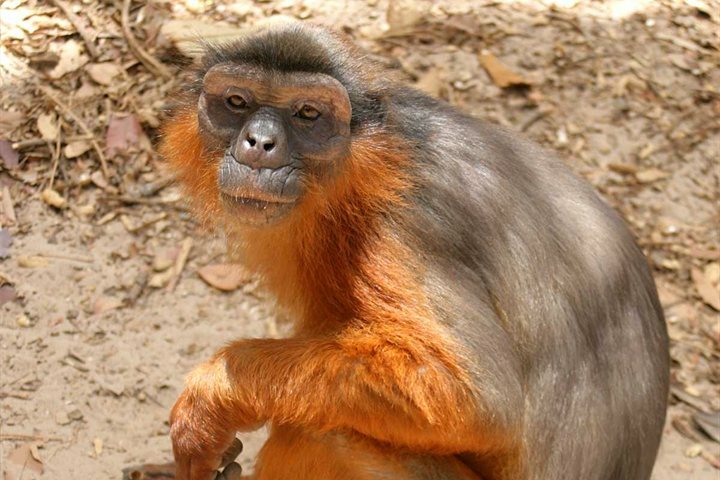 Guides at Bijilo, in particular, will encourage you to buy some peanuts to feed the green vervet monkeys but I have heard that the population of vervets is growing rapidly at the expense of the rare (and much shyer) red colobus monkey. For a real treat venture away from the main tourist area, which only occupies a small region hugging the coastline, and journey up-country where you can spend a few nights under canvas at an eco-friendly camp at the Chimpanzee Rehabilitation Project. 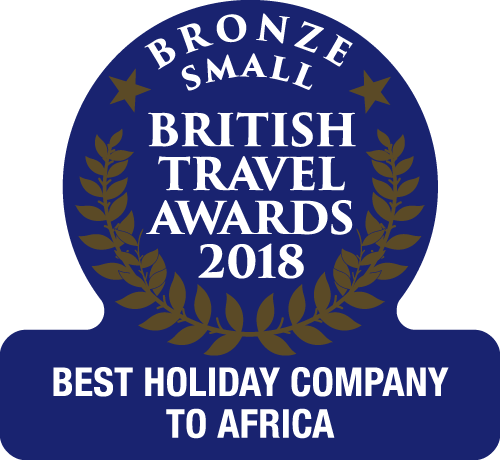 As well as the chimps you’ll have the chance to see hippos, crocodiles, baboons, bush babies and a great variety of birds in an unspoilt jungle setting on the banks of the River Gambia. 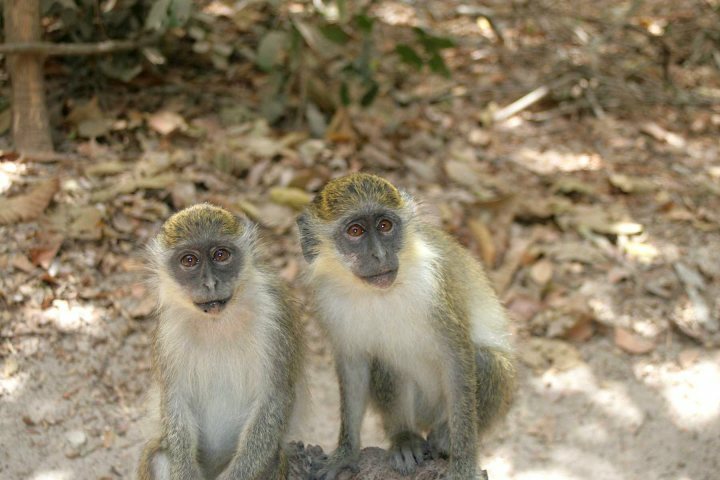 This is the only place in The Gambia where you can find chimpanzees. You can stay here for 2 or 3 nights but no longer as it is closed to visitors for a few days each and every week so that the staff can concentrate on looking after the chimps. 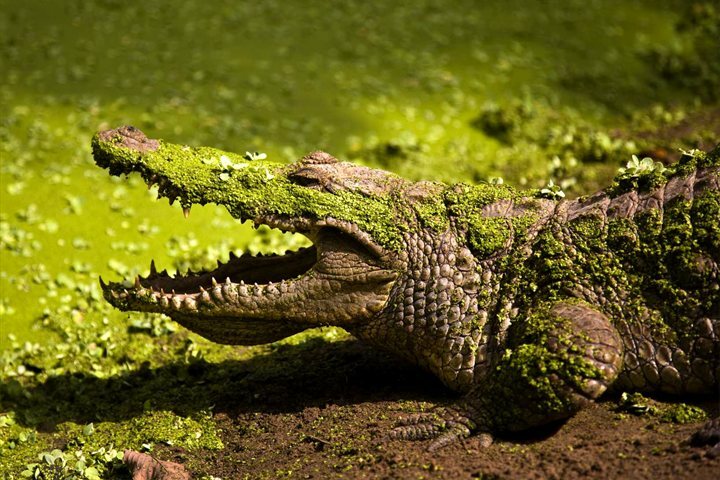 Other wildlife that is easy to find include crocodiles which you can visit at the Katchikally crocodile pond, near Cape Point, which is rich in tradition and it is said that your wishes will be granted here. There’s also a nice little museum. Be warned though this is a serious tourist trap and the crocodiles are hardly what you could call ‘wild’. In fact, they are so tame people touch them. 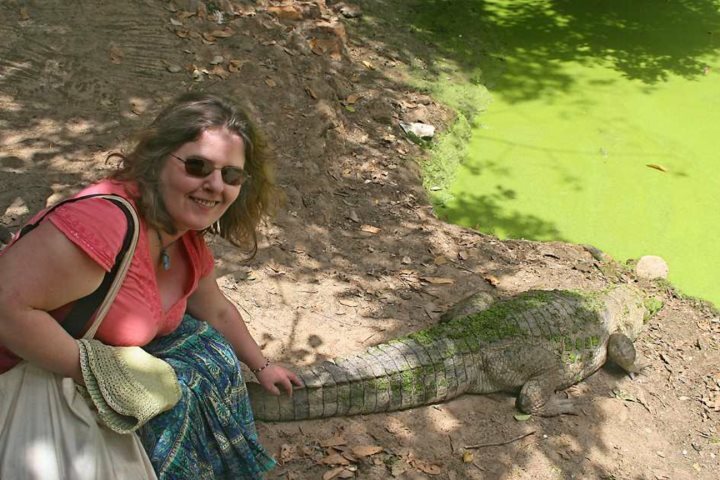 I, of course, had absolutely no intention of touching one of them when I went but some how these things just seem to happen and before I knew it I was smiling for the camera while stroking a croc! 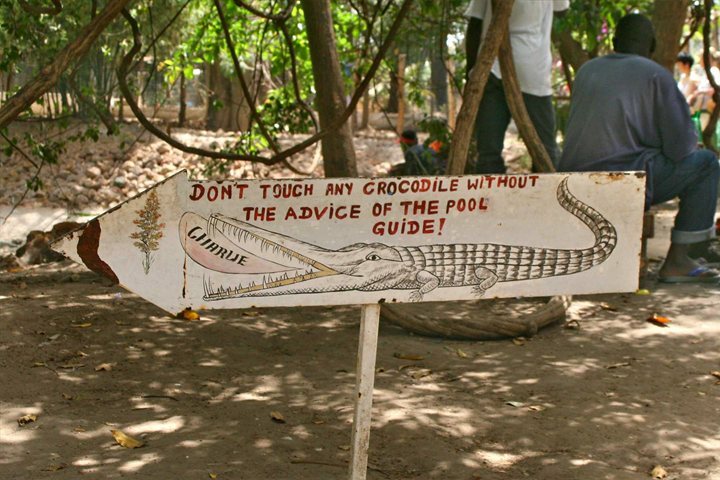 Actually, I would in no way recommend you to touch any animal in The Gambia.